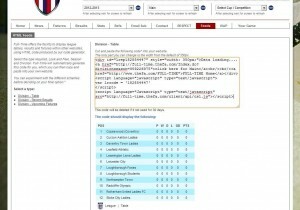 This article will show you how you can add the tables, results and fixtures from your league’s FA Full-time website into your teamthing website. The English FA provides a free service to associated leagues that allows them to compile their league tables, fixtures and results publicly on-line. Any club or league with a teamthing.com website can take advantage of this service and show tables, fixtures and results from the FA website inside their teamthing website. Step 1: Get a code snippet from the FA Full-Time website. Choose what type of details you wish to create from the options on the left hand side of the screen i.e. ‘Division – Table’, ‘Division – Recent Results’ or ‘Division – Upcoming Fixtures’. Click the ‘create’ button and note the ‘lrcode’ generated in the screen. The lrcode is the only detail that you need from this generated code. Sign into your teamthing dashboard. 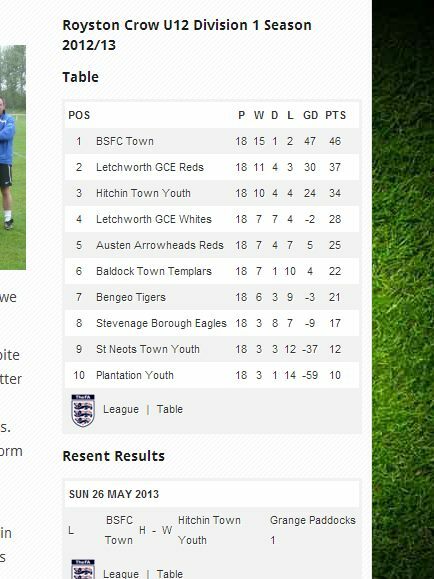 Add a ‘Text’ widget to the location where you want visitors to see your table, fixtures or results. Open a new browser window and navigate to your website to view how the new widget looks. N.B. you can change the width of you generated table by changing the ‘width’ part of the shortcode. 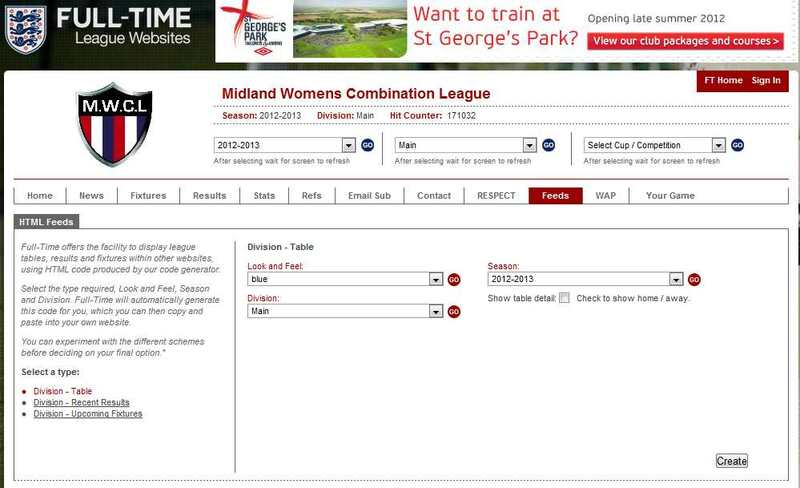 You can create a dedicated page which shows the more detailed league table, fixtures and results. From your dashboard click ‘Pages>Add New’ (Alternatively, just edit the existing ‘League’ page that is included in your template website.). Paste in the shortcode used above into the editor.